Note: you should also check out our homemade face wash.
Before we get into the homemade facial recipe, let’s talk about what we eat. I would never have imagined that at 36 years old women of different ages and ethnicities would stop me to ask what I use on my skin. But over the last few years, it happens more and more. Once while standing next to the Proactiv acne booth! You see, most of my life I didn’t have the skin I have today. I mean I’m getting older, which typically equals wrinkled skin, right? Well, I thought so, until recently. In addition to using this homemade facial, about 15 months ago I changed my eating habits. I wasn’t intending to improve my complexion, just my general health. Turns out diet improvements worked out many of the bad skin issues that plagued me most of my life. My skin problems mirror those of most people who eat a typical American diet. I wouldn’t say I had bad acne, but when is acne really good? The embarrassing issue with my skin was the constant redness, aka rosacea. On top of that my skin is very fair and sensitive. Mix that with years of high salt, fat, and sugar intake and I ended up in a dermatologist office. And that leads to one thing, prescription drugs, and all their side effects. I quickly tire of solutions that only deal with the symptoms of bad skin. And was ready for a safer, healthier, less expensive option that makes more sense. Sound familiar? So yes, eating habits will be reflected through the skin. For example, my rosacea went away and I haven’t had a pimple in over a year. I do, however, still like to do treat myself to this homemade facial because I love how it makes my skin feels. Also, I believe in pampering myself. Lastly, even if we eat healthily our skin is exposed to environmental factors every day and can benefit from special treatment. 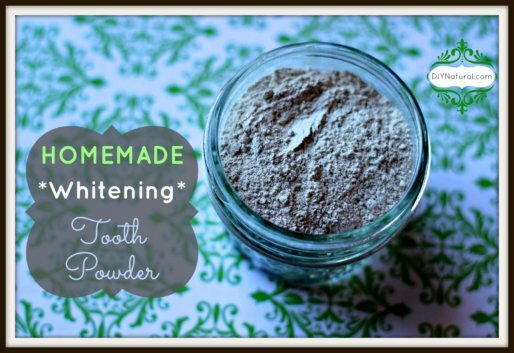 I devised my own skin regiment and am excited to share my homemade facial with you now. I only use simple, yet powerful, ingredients. Further, they are found in most kitchens and are healthier and cheaper than store-bought products. I encourage you to use my formula, but if you’d rather use store-bought products to cleanse, moisturize and treat your skin use this website to research the products and their ingredients. 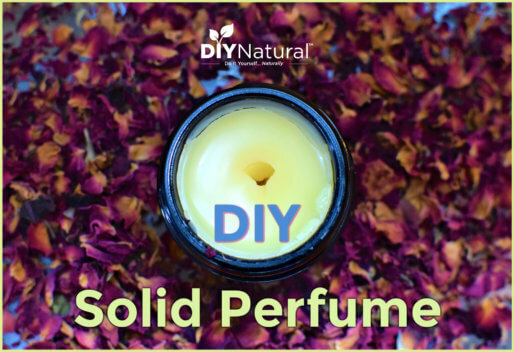 This way you still have the nitty gritty on what you’re using. Mix the ingredients together and rub the homemade facial mixture all over your face. After 10 minutes, step into the shower and rinse it all off. (It usually takes a little scrubbing with a washcloth to remove everything.) What you're left with is skin that feels amazing! I like to imagine it's similar to how a snake feels after shedding his skin. Just three applications of this homemade facial per week will transform your skin's appearance and elasticity. Some of my prior wrinkles have disappeared and we all know losing wrinkles rather than gaining them helps defy signs of aging we thought we had no control over. Lemons are high in Vitamin C – the most widely used ingredient in skin care products – which is essential for the synthesis of collagen. Vitamin C is also an antioxidant that helps reduce skin damage caused by free radicals. Lemon also works as a toner which is great for oily skin, reducing blackheads, and promoting skin elasticity. The honey in this homemade facial is an antioxidant and also an anti-irritant. If you are prone to oily skin honey will attract and retain moisture without oiliness. If your skin is dry it will hydrate and promote elasticity for smoother softer skin. Honey’s antibacterial nature cleanses the surface of the skin and tightens the outer skin. It is said Cleopatra bathed in milk and honey to keep her skin looking younger. Honey jars have been found in Egyptian tombs and are said to still taste great. Olive oil isn’t just great for the kitchen, it has been used for skin care since biblical times. It’s high in antioxidants, Vitamin E, and beta-carotene. 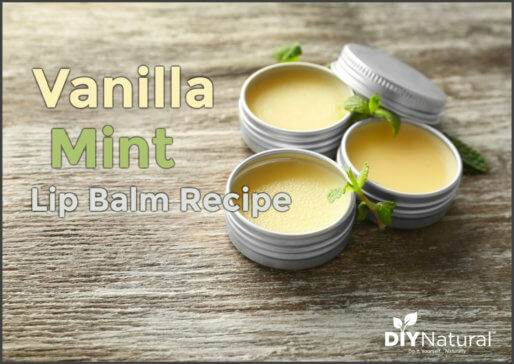 Perfect for a homemade facial! It contains at least 9 different categories of polyphenols – which have anti-inflammatory properties. Your body’s cells incorporate the fatty acids from the oil making the skin more lustrous. I use it so much in cooking and topically on my skin that I laugh and say to people, I think olive oil flows through my body in place of blood these days. When asked by other women what I do to make my skin glow I often tell them that I live a healthy lifestyle. When they want more details I usually indulge them with the same recipe I just shared with you. Many women even get out pen and paper to record my advice in the grocery aisle. Of course, I’m extremely flattered by their interest and it reassures me that what I’m doing works. Never forget that nature provides us with everything we need in its most pure form and that’s how it was intended for use. It seems very simple and basic but it works and is a fraction of the cost of “professional” products. Lastly, who doesn’t want to save money these days, right? 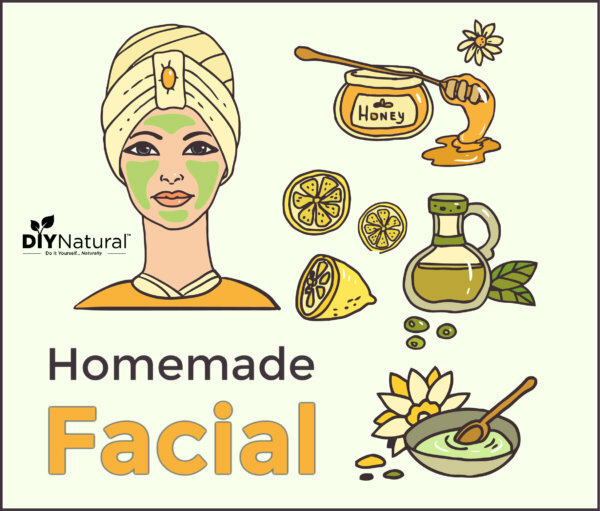 Did you try this homemade facial? What were your thoughts? Could I Use vegetable oil instead of olive oil? Could I use fresh lime instead of lemon? Or is bottled lemon juice ok? I don’t have any lemons, but I do have some limes. When Olive Oil is used in any of your recipes, is it Extra Virgin Olive Oil or regular? You said above that you changed your diet. What sort of foods do you eat now that don’t cause your skin to react as badly as it did before? Thank you for this! The facial is amazing!!! I just did the facial and my skin feels amazing! Thank you for the recipe. I have eczema and severe skin allergies. I am transitioning to a whole foods/all natural diet and have noticed a huge difference in my health and skin already. Thanks for the blog! Sounds great. Try applying milk of magnesia to your face. Leave it on 5 -10 min. Rinse. Your complexion will be gorgeous. I do this a few times a week. It works like magic! How does the olive oil effect those of us with oily skin on our faces? My face is oily and not just in the T-zone but all over, however, rest of my body has dry skin. I am just wondering if the olive oil will cause me to have more breakouts on my face. By the way, my age is 58. It looks like the website you listed above tests only products sold in the US. Do you know of a site that does testing of products sold in other countries? This mask is soooo great!!! Cheers! I feel that exfoliation will take place due to the fruit acid in the lemon juice. This is just what I have been looking for, exfoliation without “roughing” up my face. I have rosacea, too, and using those products with granules in it just made my face worse. What a great formula. Thanks so much! I love the mask- just tried it. I wanted to ask if you moisterize after with anything or is it not necessary?? Thanks for all your info, love your site!! I have had problem skin my whole life. I am eating healthier and love trying the recipes on this sight. Do you wash your face in the morning or only at night? Do you wash with Dr. Bronners every day and alternate the coconut oil with the honey/lemon/olive oil mixture? Is there any need to apply anything after the facial mixture? Sorry to ask so many questions, just want to get this right. I wash my face with an exfoliating product in the morning and it’s an oil slick by noon…I can’t imagine adding oil would be a good idea for me, but I could be wrong (it’s happened before). Any thoughts? And I’d really like to know your thoughts on the above oatmeal suggestion. I’m hardly an expert, but if you’re exfoliating every day, that may be *causing* the oiliness. Your skin is trying to get back the oils that you’ve exfoliated away, in essence it’s over-protecting itself. You may want to try exfoliating less. Initially your skin may be more oily as it gets used to not having to produce so much (similar to when you change over from shampoo to baking soda and vinegar treatment), but should calm down again after a bit. Just a thought…I assume oats can be added to the mixture for exfoliating properties. I haven’t used it yet, what do you think? I noticed that you use the facial 3 times per week, is there something that you use on your “off” days? I know this is kind of a weird question, but do you wear make-up? I am really trying to clear my skin so I do not have to wear it anymore. I am open to any and all suggestions. I have been really enjoying all of your posts, and am also convinced that God has provided all things in nature that we need. Thank you for the time you put into everything you are sharing with us. Thank you Shari and you are very welcome. I do wear mineral makeup. I wash my face at night with a bar of Dr. Bronner’s peppermint soap, then apply the olive oil honey and lemon facial OR on my off days I use Dr. Bronner’s (Fair Trade & Organic) Fresh Pressed Virgin Coconut Oil. I buy it at Whole Foods grocery store but you can also purchase any of his products online. I believe I paid around $10 for a 14oz jar. You can actually cook with it too but I just store it in my bathroom and use all over…my face, neck, arms, legs and feet. It will last you months, it practically melts in you hand so a little goes a long way. I just love it and the smell of fresh coconut is fantastic. I use avacado oil to remove my eyeliner and mascara, it works very well for that and is so much better for you than the traditional petroleum based baby oil that most of us have used. I’m not sure what your typical diet is but what happened to me was when I gave up fast food, sodas, and processed foods all my skin problems started to clear up within the first couple months of giving them up..I saw a huge difference. Good luck to you and keep me posted on how things are progressing for you! I use an oil cleansing method if you are interested… you use castor oil and olive oil. 1-1 for normal skin, 3-1 for acne prone, and 1-3 for drier skin. Found in “Organized Simplicity” by Tsh Oxenreider. Can you mix a large quantity up (a week’s worth) at one time – will it spoil or lose its umph? Great question Amanda…I typically mix 1/4 cup each, straining the pulp from the lemons..this gives me right at 2/3 cup of mixture. I store mine in a glass olive oil cruet with a glass top that seals itself down inside the bottle, leaving it out on a shelf in my bathroom and have never had it spoil. I not only use this on myself I use it on my daughter who has eczema (which is hardly noticeable anymore) and therefore its usually gone within a week after mixing it. It doesn’t seem to lose it umph but it does want to separate so give it a good shake before each use. Also be liberal when applying, its not a thick mix, its consistency is almost watery. Good luck and I would love to hear more in the future about how this has worked for you! I have used it for the first time and it feels wonderful going on as well as after it is rinsed off. Thanks so much for this healthy, quick, and economical recipe. I plan to continue using every other day! Awesome Roxy..glad you love it as much as I do!